Many people are quite clear about their desire for a romantic partnership that has a future. For some, it is a great need that represents an all-consuming endeavor that occupies a good deal of their time and energy. Some others are more casual about it and would like a romantic partner, but treat the matter as a desirable life option that may or may not occur. Still others are clearly not interested in a single partnership that might lead to permanence. They prefer their single status and live life accordingly. Problems arise for certain individuals—and the people they invite or allow into their lives—when they are unsure or confused about their needs. They often send mixed messages to the people with whom they develop a relationship. 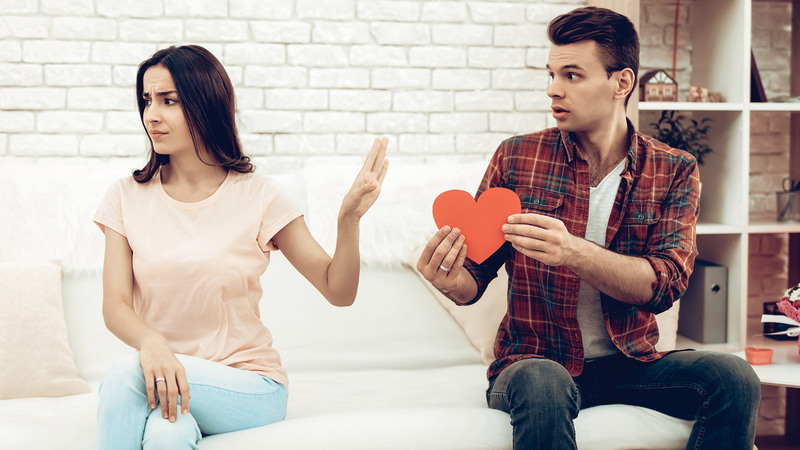 Interestingly, they tend to find partners who seem to accept their ambivalence, rather than demand clarity and relationship definition early on. Both Eddie and Ruth are in what I call “ambivalationships.” They want the relationship, seem to want it to remain permanent, act and feel like the other half of a typical marital relationship, yet resist the conventional route that long-term couples generally travel, i.e. marriage. By many measures, there is nothing inherently wrong in maintaining the status quo except that those relationships involve a power imbalance between the two people involved that eventually creates a crisis or simply erodes the health and welfare of the partnership. Cynthia and James, both of whom are obviously interested in permanence via marriage, are basically powerless to influence change in their respective partners unless by, perhaps, putting the relationship on probation or just ending it, something they are loathe to do. Eddie and Ruth, by virtue of their ambivalence about permanence via marriage, have the power to determine what happens next, something that often leads to anger and resentment on the part of the waiting partner. Clearly, it is helpful, respectful, considerate, even humane for someone in a significant long-term relationship to resolve any ambivalence they have about changing the status of the relationship, especially when they are well aware of the wishes and feelings of their partner. Too many romantic partnerships linger in a state of uncertainty with one member of the couple living ambivalently while resisting or avoiding discussions about the future when these arise. Both parties have the responsibility, it seems to me, to see to it that the state and fate of their union is handled openly and honestly, leading to mutual understanding and resolution. An updated version of Ambivalationships is included in my new book, Help Me!. More information, including the table of contents, reviews and purchasing information is available on the Help Me! page.